One in 7 American adults who have tattoo regret getting one! Just as a photographic image is altered pixel by pixel, Fraxel Laser Treatment improves the skin’s appearance by treating only a fraction of your skin at a time with thousands of tiny laser beams. For Every microscopic zone the laser targets and treats intensively, it leaves the surrounding tissue unaffected. 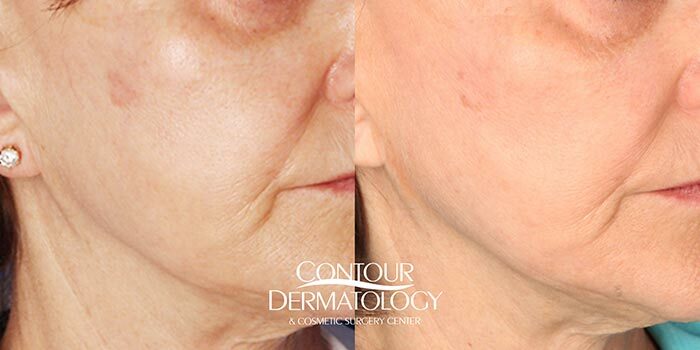 This “fractional” treatment enables the skin to heal much faster than if the entire area were treated at once, and uses the body’s natural healing ability to create new, healthy and tighter tissue to replace skin imperfections. And because Fraxel Laser Treatment spares healthy tissue, it’s effective on even delicate skin areas such as the neck, chest and hands – in addition to the face.